Owing to our affluent industry acquaintance, we present Dried Black Sesame Seed. 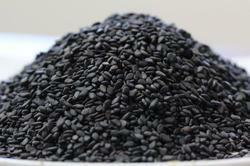 We are a leader in offering a best quality of Dried Sesame Seeds to our clients. Our products are famous for their quality and rich taste. We pack our products in different quantities as required by the customer. 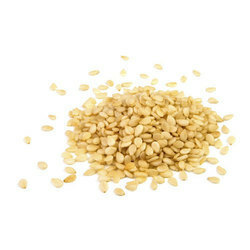 These Dried Sesame Seeds are widely available at market leading as well as competitive prices. Regarded as the speed spice, cumin seeds are largely grown in hot climates. Gujarat and Rajasthan is the leading cultivator of the spice. Being prominent Cumin Seeds Exporters, Manufacturers and Suppliers in India, we believe in achieving maximum customer satisfaction through constant efforts and dedication. FFA (AS OLEIC ACID) : 1% MAX. Packing : IN MULTI WALL PAPER BAGS OF 10 KG; 12.5 KG; 25 KG; 25 LB & 50 LB. With years of practice of this area, we are offering an extensive series of Sesame Seeds.